After hour maintenance crews were on scene when the water heater malfunctioned and started spraying water rapidly. They were able to get the water shut off quickly, but not fast enough to avoid damage. 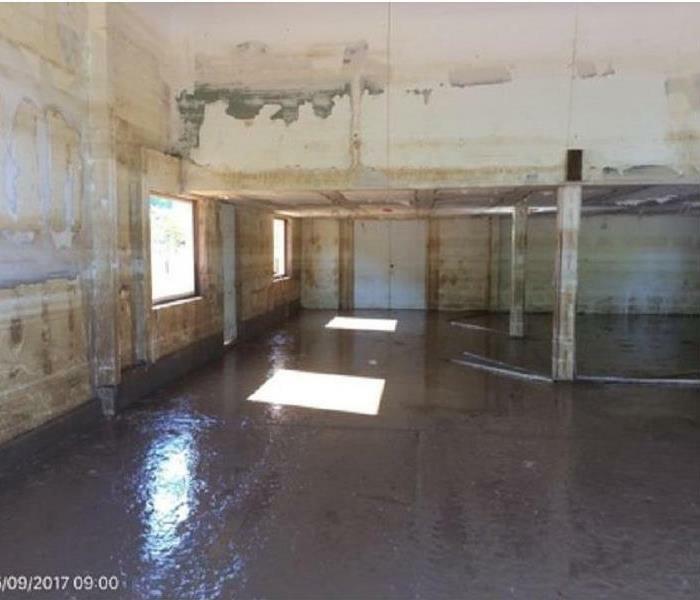 This shows you how quickly water damage can affected your building. 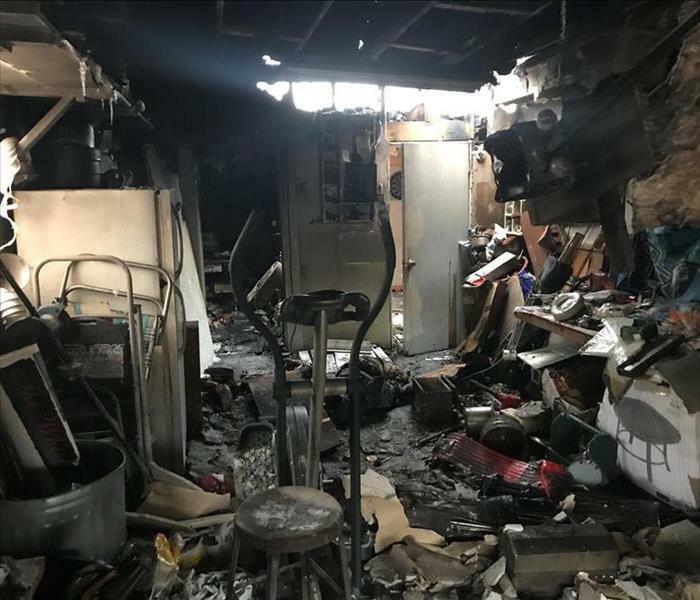 Another example where an electrical malfunction in a garage caused the fire to start. The family had just moved into the home less than a month ago, and was devastated by this event. Please remember to unplug all electrical items that are not used regularly. 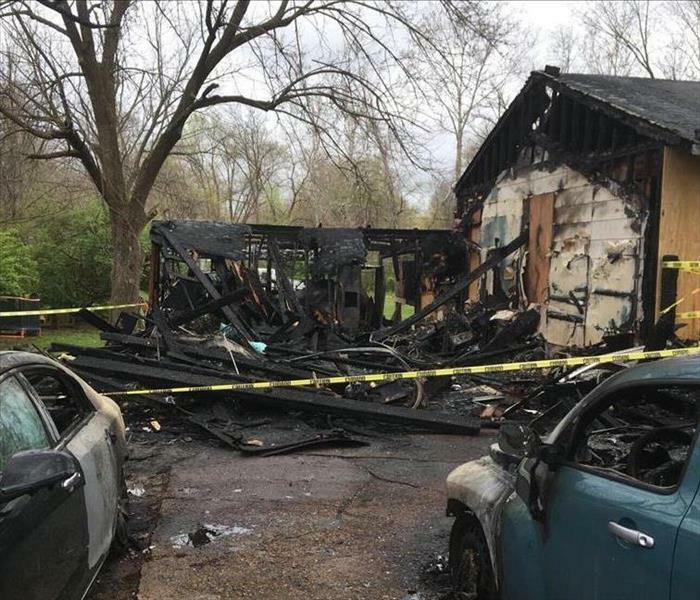 This garage fire was started due to a malfunction of an electric power tool that was plugged in while not being used. The fire quickly engulfed the garage and spread smoke and soot throughout the home. Please make sure to unplug all electrical items that you do not use regularly. When an electrical fire started in the living room the family was awoken to the smell of smoke. A space heater that was left on malfunctioned causing a fire to erupt. The family was quick to put the fire out, but not until the damage had already been done. 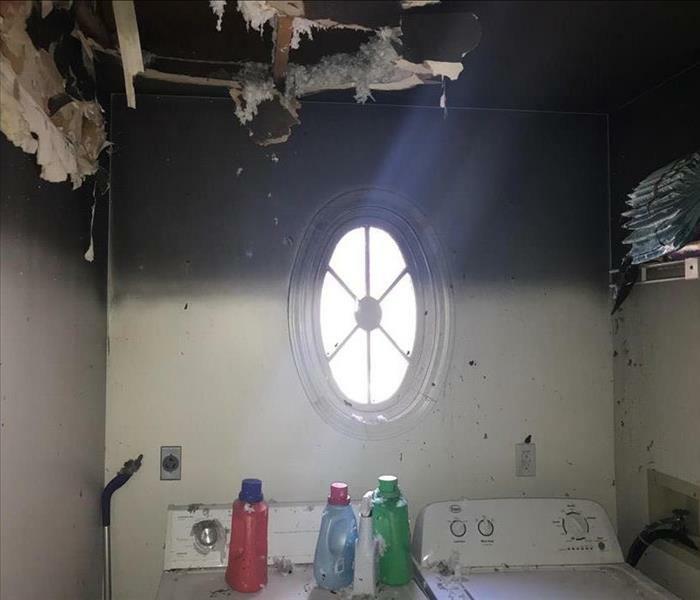 This fire started in the kitchen after the homeowners had recently used there stove top. 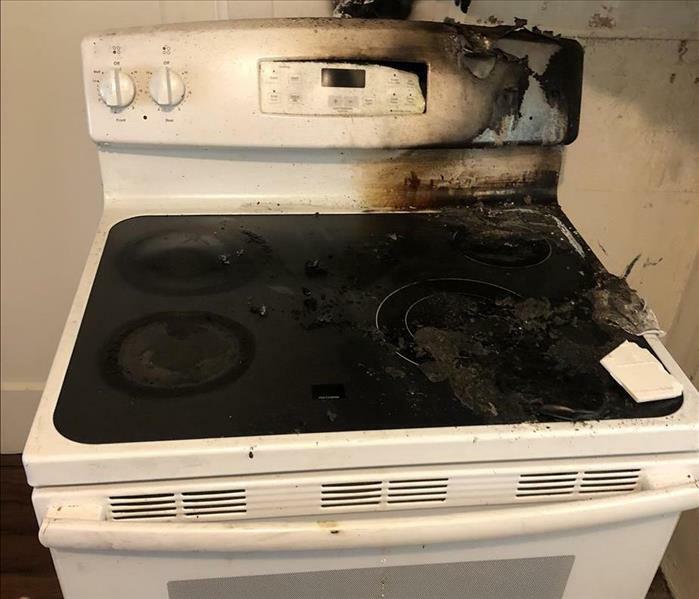 Without thinking sometimes we set personal items on the stovetop, in this scenario the item caught fire spreading smoke and soot throughout the home. 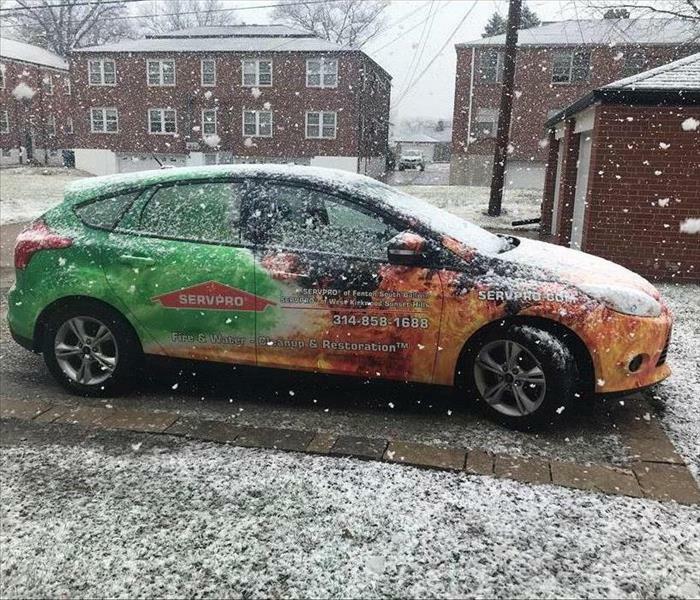 SERVPRO of Fenton/South Ballwin is prepared to service any client no matter the weather. When bad weather strikes we are the team that is Faster to any size disaster. Half of this warehouse was being worked on while the other half was still open for business. 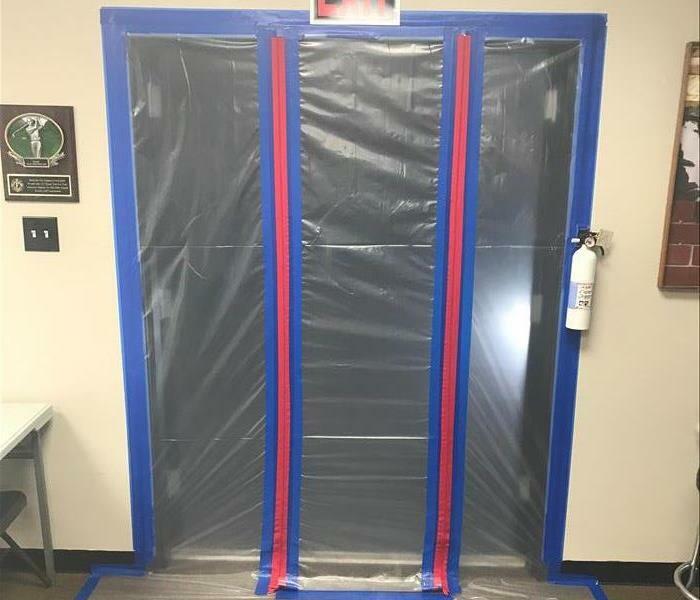 We set this containment to keep any dust and debris out of the functioning portion of the business. When winter weather moves in make sure your home is prepared. Shut off the water to the exterior water spigots, and check from proper insulation in these areas. This home had recently been vacated, and was not fully prepared for the cold weather that was moving into the St Louis area. Here we can see how water has gone behind the paint on the drywall causing it to bubble and pull away from the wall. Water will find its way into the smallest areas causing damage to many different types of building materials. 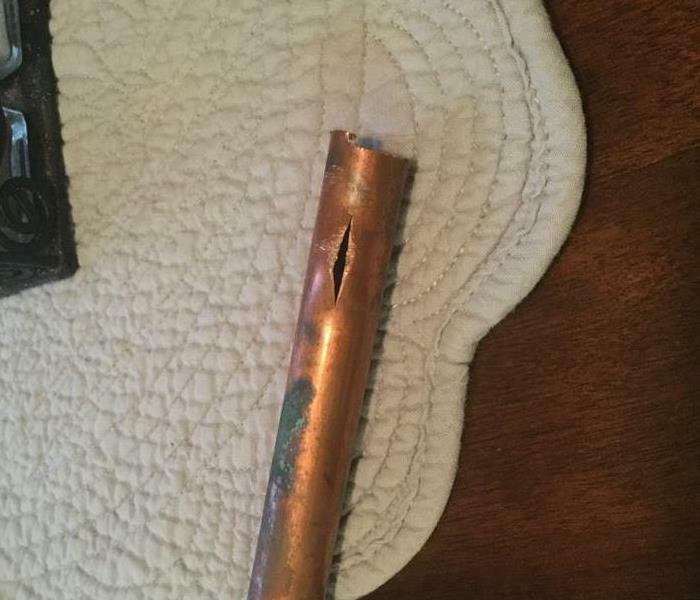 When a winter storm dropped temperatures into the single digits the copper pipes in the ceiling of this church were not insulated correctly and caused a pipe to burst. Water ran over night, and was finally shut off the next morning. This photo was taken near the source of a residential fire that originated in the garage. Here we can see how much smoke and soot was in the air during the fire. The Heat Line (also known as Soot Line) shows us exactly how heavy the smoke and soot were during the fire. 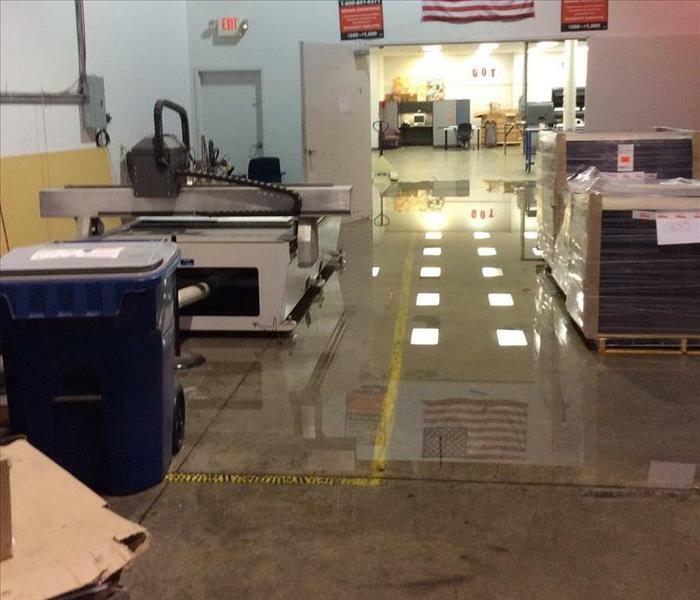 Do you know what to do when water or fire damage strikes at your business? 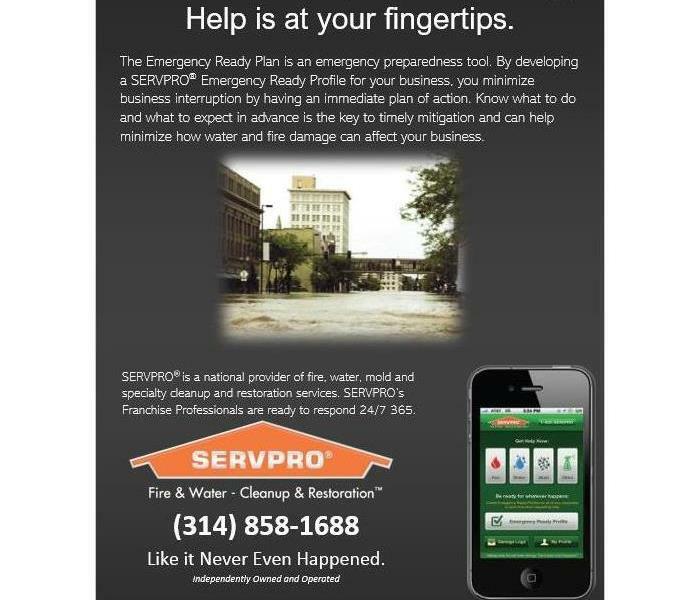 This complimentary service that we provide will keep your business prepared for any type of disaster. 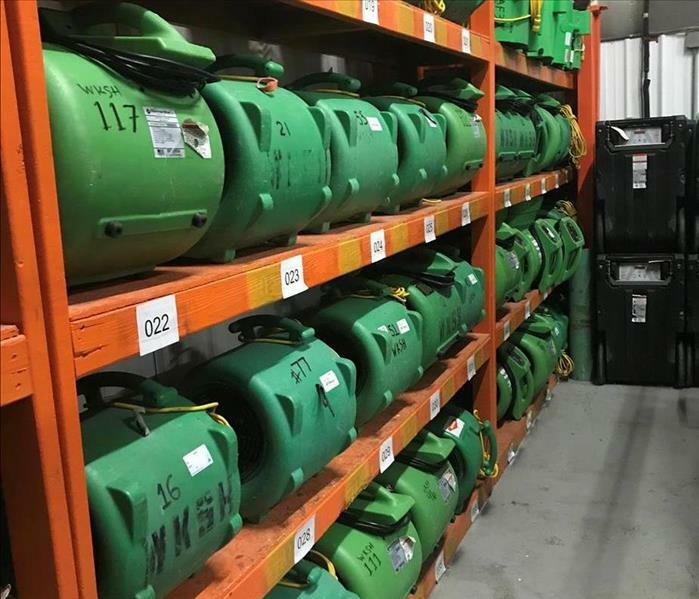 Call us today to get prepared! 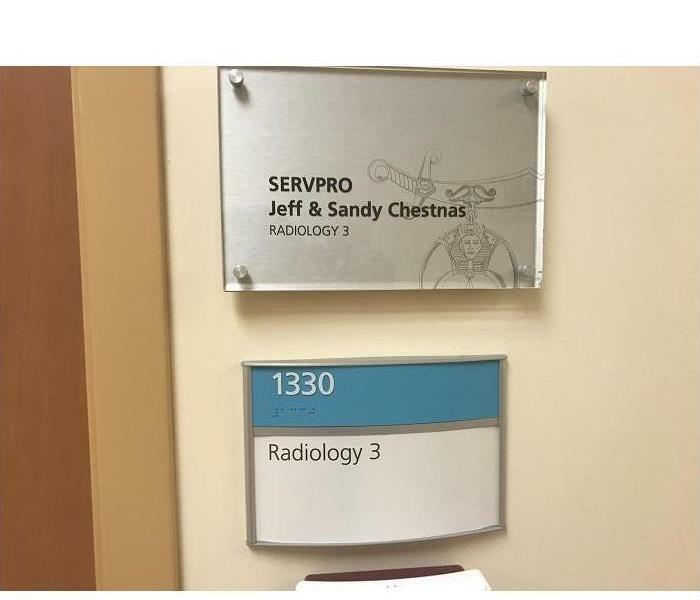 SERVPRO of Fenton/South Ballwin is a huge supporter of Shriners Hospital for Children - St Louis. 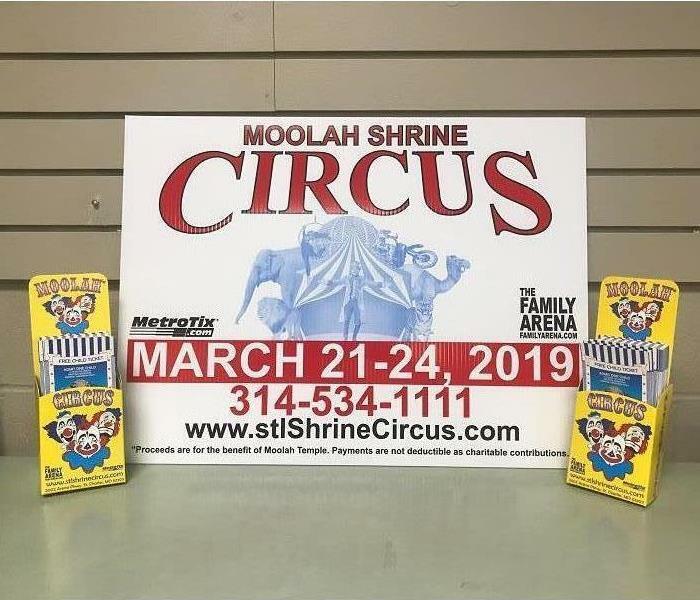 This years Moolah Shrine Circus will be held on March 21-24 @ The Family Arena. Please call (314) 534-1111 for questions! Our crews work in filthy conditions, but we want to keep the unaffected areas as clean as possible throughout the process. 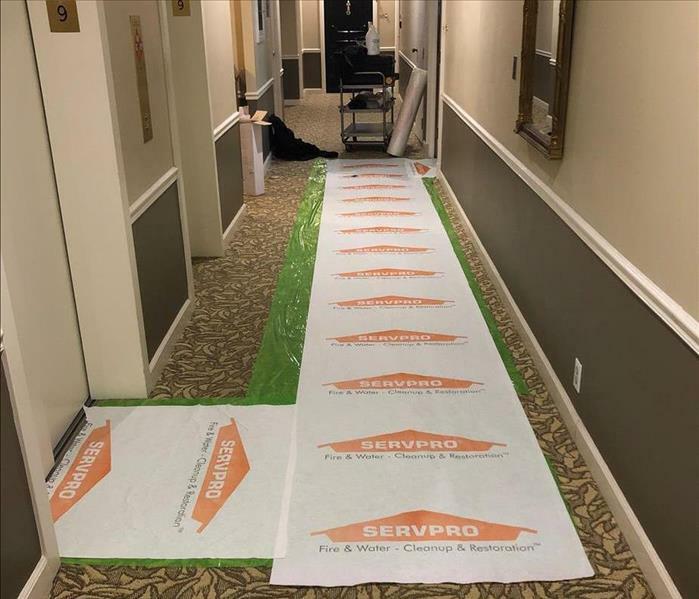 Putting down floor protection is one of the ways that we keep unaffected areas from becoming affected as we walk in and out of the building. When this church found their sky lights leaking they called the professionals at SERVPRO of Fenton/South Ballwin for help! 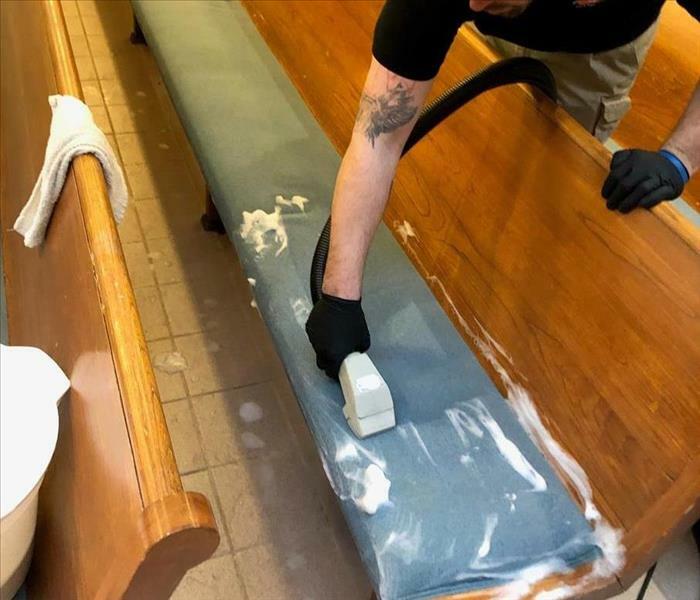 Our crews were able to clean the pews rather than throw them out and replace them. This saved the church time and money, and allowed them to open as usual. The sprinkler system in this commercial building was suppose to be shut off due to the upstairs portion of the building not being used. 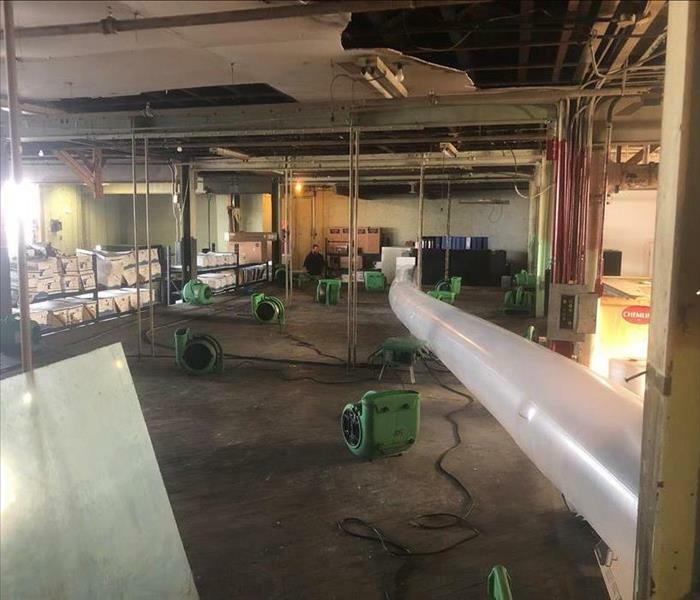 The sprinkler system experienced a pipe break causing water to flood all three levels of the building. This homeowner was concerned that secondary damage was going to occur. 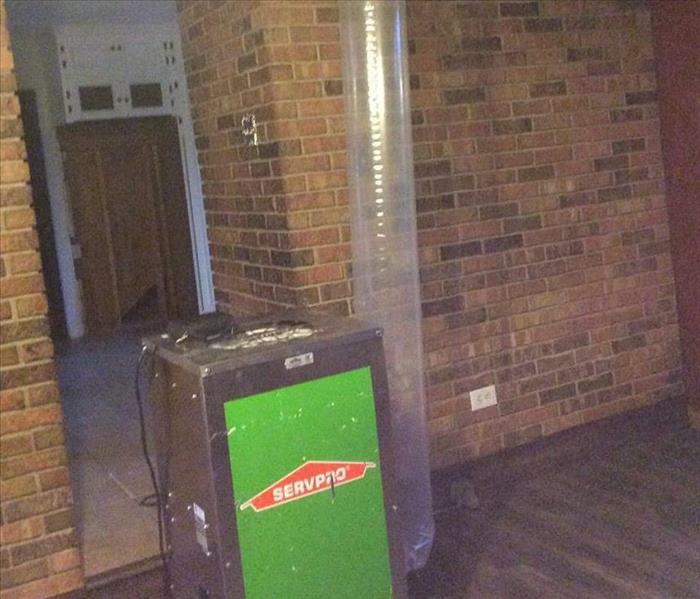 Dehumidifier used to stabilize attic space while we waited on test results for possible asbestos contained within the insulation before and demolition was performed. This bathroom had not been used in quite some time. Water sitting in the plumbing caused this pipe to corrode to the point of failure. It is a good idea to check plumbing annually for these types of issues. As seen in the photo above, during heavy rains water can pool up next to your home or business. 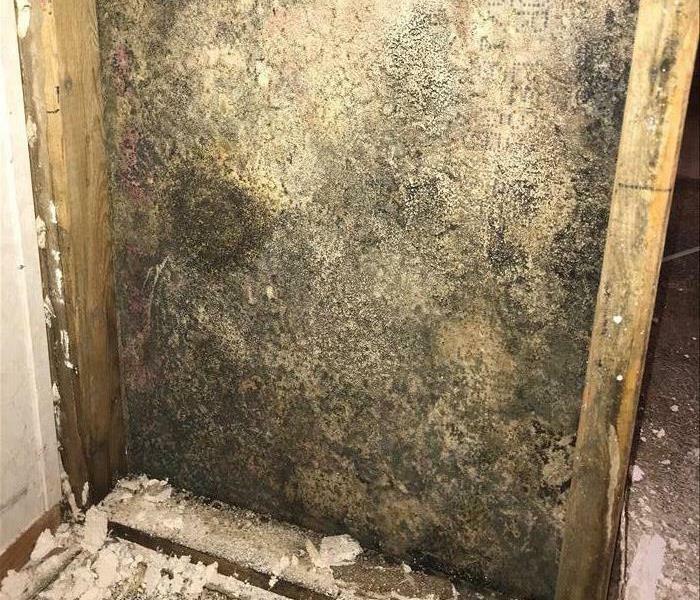 This can cause water to seep into small cracks and through porous materials finding its way into your basement. Always check for water pooling near your home or business, and address the issue. This is typically not covered by many insurance companies. 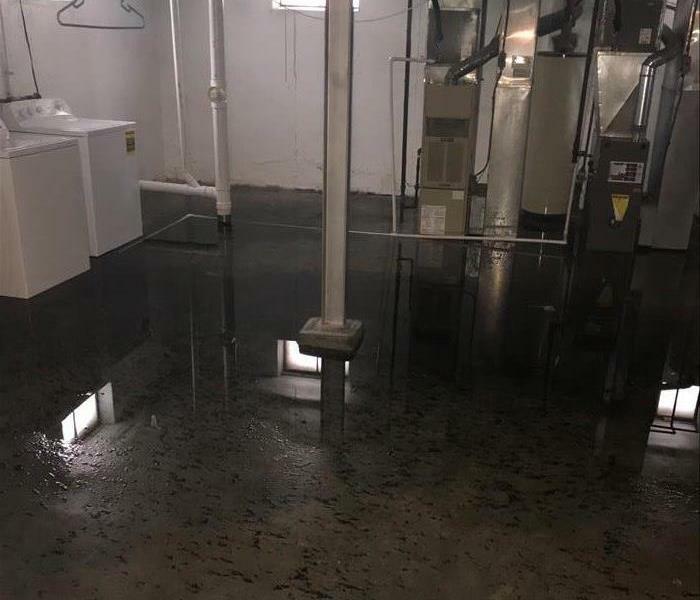 Outdoor water spigot froze during extremely cold weather, and began to flood the basement of this Valley Park home. It is always a good idea to check this area as we move into colder weather for proper insulation, and to shut off the water to the exterior water spigot. During a period of heavy rain this home located near the Meramec River was hit hard by flooding. Most of the home was affected from the flooding, here you can see how much damage was done to the garage. This sewer backup occurred in an apartment building in South City. Luckily the basement is unfinished an no contents were affected! Simple extraction and decontamination were used to disinfect the unfinished basement. 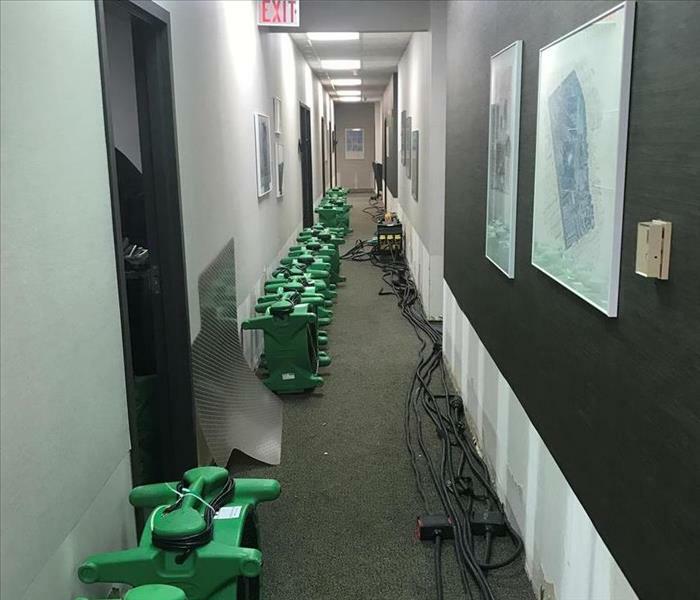 Here we can see that the crews have staged air movers to be dispersed throughout the building. This loss happened in an office building. A toilet malfunctioned and continued to run over the weekend, until the building was opened again the following Monday. The picture above shows how a fire can greatly affected your home. The fire started in the garage due to an electrical malfunction of a power tool that was left plugged in. The immense amount of smoke and heat produced by this fire caused the damages to spread quickly. A frozen pipe burst in this home while the family was out of town. 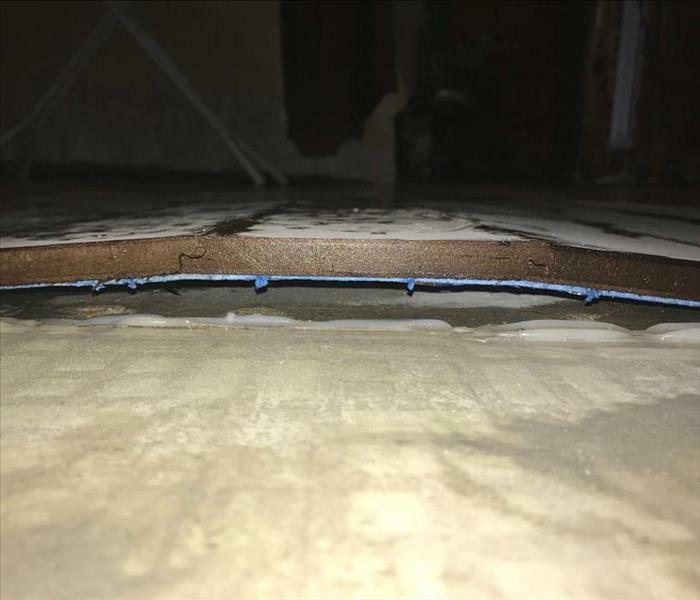 Water sat on this flooring for less than 24 hours and still caused the flooring to buckle. This goes to show that all water intrusions should be mitigated immediately. Here we can see what cold temperatures can do to your plumbing. This pipe froze during the Polar Vortex we recently experienced. Even this small break in a pipe can cause heavy amounts of damage to your home or business in a short amount of time. Our staff is highly trained in property damage restoration. Our training program includes the following: IICRC, Employee Certification Training, e-learnings and Continuing Education Classes. Attending this IICRC Fire and Smoke class is Brendan Roberts-Account Manager, Adam Smith-Account Manager and Chrisitna Rulo-Fire Division. 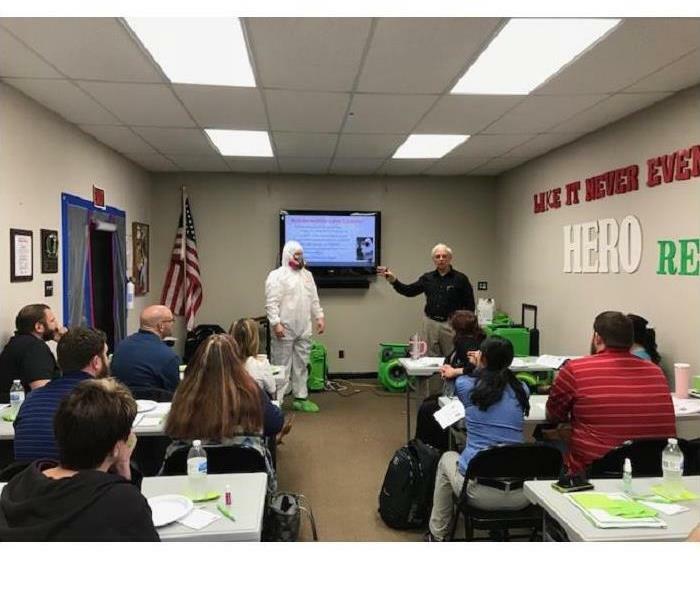 Our own account manager, Brendan Roberts, is sporting a tyvek suit as part of a demonstration during our CE Class. 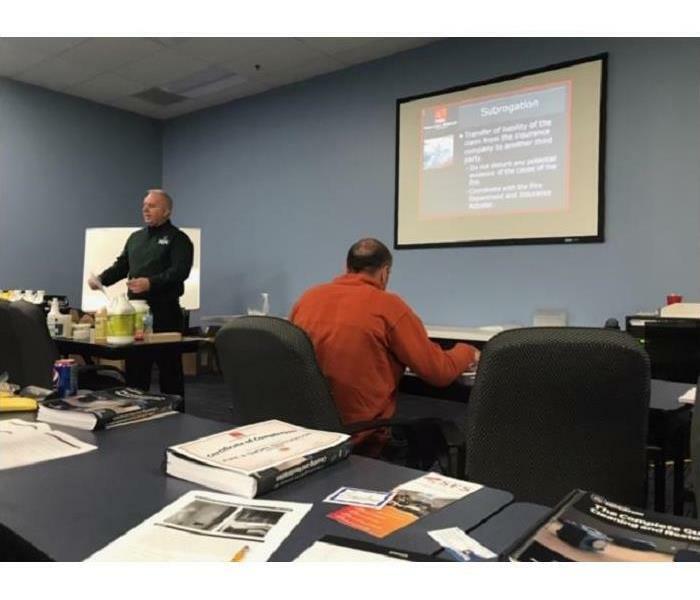 We host CE Classes throughout the year. If interested please call our office at (314) 858-1688. 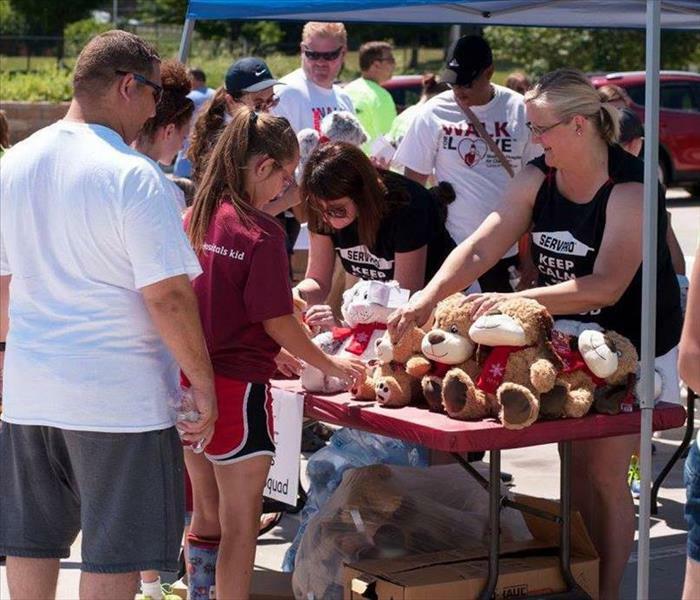 This was the 2016 Shriners Hospital Walk For Love annual event that SERVPRO of Fenton and Ballwin participated in. SERVPRO had a tent set up that had lots of activities set up for the kids to do! In this picture is Jan Mullaney and Leann Hefner happily assisting a child part of the Shriers hospital. SERVPRO of Fenton and South Ballwin are so happy to be a part of such a wonderful cause!